NO Adhesive Required, Free Shipping, In Stock! For use over any type of hard surface flooring and thin pile glued down carpeting! Simply Click and Lock! Save your company over $20.00 per tile compared to our competitors AND get free shipping and a bigger tile! Compliant to the latest ANSI ESD S20.20-2014 Standards! In Stock and Ready to Ship! 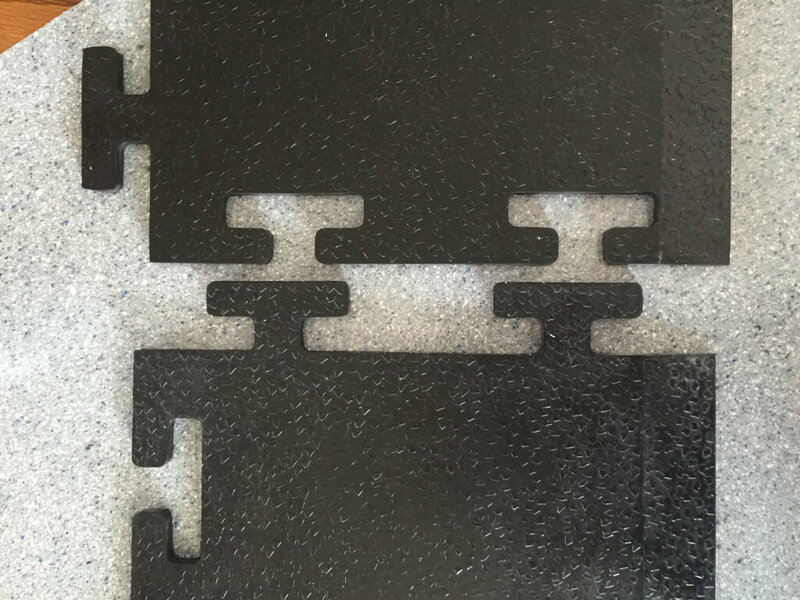 For our New VINYL ESD Interlocking Tile please click here. United's ElectraTough Mission Critical works hard for a living! 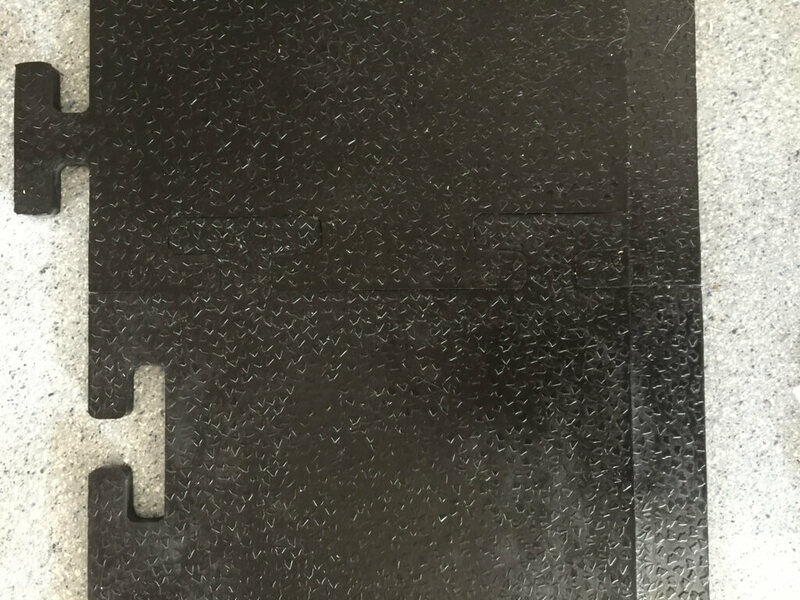 ElectraTough Mission Critical provides ultimate protection useful for full surface esd floors OR as ESD flooring runners. Whether electronic assembly, computer forensics or other Mission Critical applications, serious protection requires serious control of electrostatic voltage. ESD "events" (and their consequences) are caused by the equalization or abrupt grounding of minute but powerful electrostatic charges. When your applications are for "Mission Critical" ESD Protection that conforms to the latest recommendations of ANSI/ESD S 20.20-2014. 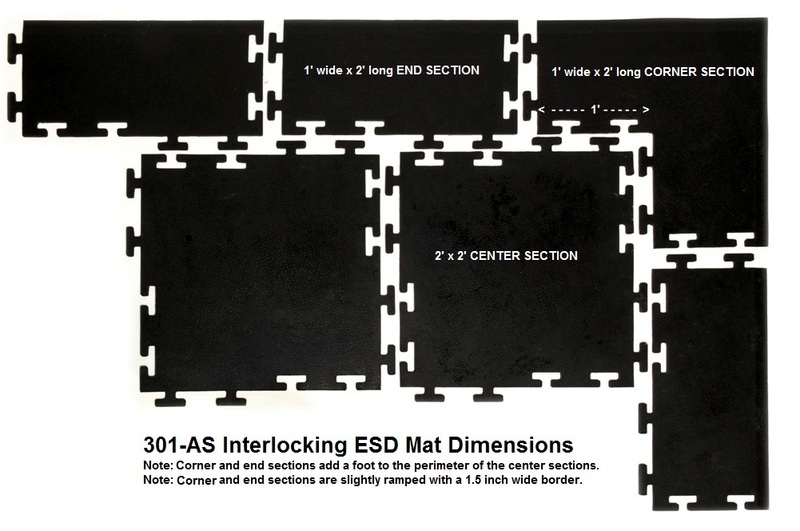 ElectraTough Interlocking ESD Tiles are the Answer. 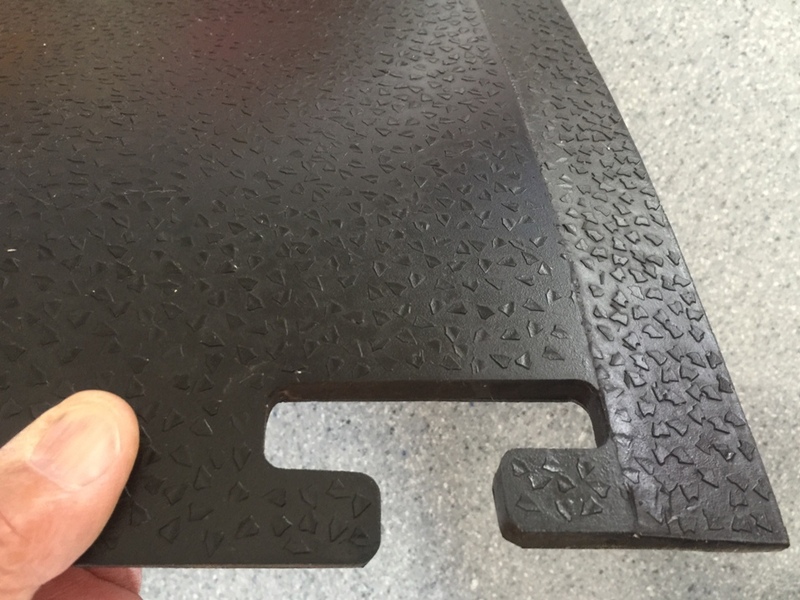 Our unique interlocking flooring system is incredibly resilient. It handles the heaviest of rolling loads yet offers the flexibility for configuration to ANY size shape or plans for future expansion. Featuring Lifetime permanent conductivity and static control protection. Chair casters? Rolling equipment carts? NO PROBLEM! Moving to a new location? Take your floor with you! Your last floor failed due to concrete vapor emissions? Never happen with ElectraTough! Fast COMPLETE electrostatic charge decay. ElectraStat Type 301 meets stringent recommendations of ANSI ESD S 2020-2014 for use with THE most sensitive of manufacturing. Interlocking tiles. EASY install! Reuse or expand as needed! Will not leave adhesive residues on existing flooring. High Tech Pebble finish: great appearance and slip resistant traction. Can be used on all hard surface floors and short pile carpet. Easy discreet grounding, Grounding tape included at NO CHARGE. *Please note: on thin pile glue down carpeting small structures may require the use of double sided 2" wide carpet tape around the perimeter (readily available at all hardware stores). Resistance to ground: <1.0E09, (typical 1.0E07 - static dissipative). Surface Resistivity > 1.0E04 <1.0E09, (typical 5.5E06 - static dissipative). Typical Grounding Method (using the free ground foil that comes with your order). Care and Feeding for ElectraTough Tiles: Note: Consider using entry way carpeted clean off mats in doorways to remove contaminants from footwear and carts. Use brooms, dust mops, damp mops, buckets and other cleaning tools dedicated for use on the ESD flooring only. Mark them as "for use in ESD area only." Maintenance: On a daily basis: Sweep the ElectraTough flooring using a soft bristle broom to remove large abrasives. Use a dry dust mop or shop vac to remove fine dust and dirt. As needed: Should the flooring not respond well to the daily cleaning process, ElectraTough may be damp mopped or auto scrubbed with a dilute solution of ElectraClean and water. Follow the instructions for ElectraClean and observe the associated SDS sheet for safety precautions. Product Code 301-AS. Currently in stock and ready to ship. 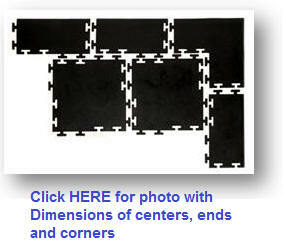 Compare to our Competition's ESD Interlocking Tiles at $14.76 per square foot! Guaranteed BEST Online Pricing in the USA!